This comes about from reading, over on Getting Ready to Go, the packing list Matthew and Molly of Bub Gourmand shared. 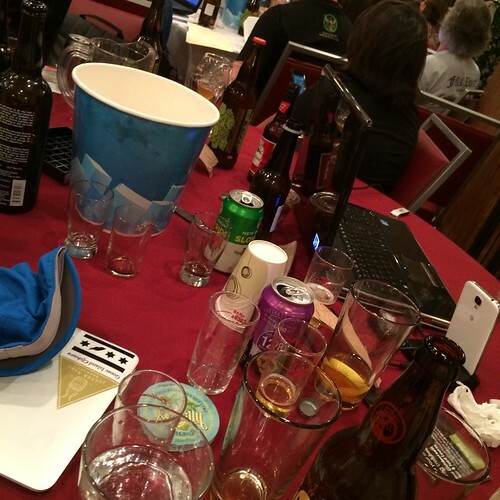 It’s from having been to beer bloggers con last year and knowing what it’s like (read: full of beer). It was about being prepared. You know, about being a blogger. And about loving food and beer so very, very much. So! If you have a smoker, you need some alder chips. If you don’t have a smoker, you need to get one. Either way, you need to chill some Eric’s Ale. You also need raw pecans. No, not toasted. Raw. I mean this. Dump the raw pecans in a pie plate or something else that. Don’t put holes in it; some of the fun is that the pecans each have different levels of smokiness. Then smoke them over the alder chips for about an hour. Well, you’ll have no judgment from me. Go forth and be inspired. A condition of registering as a “citizen blogger” at Beer Bloggers Conference was that I write a minimum of two posts about the conference. I am highly likely to write more than two posts, but this is the second of the required posts. Here’s my first one on ethics and beer and blogging. Man, Natasha, I should have been at your table. 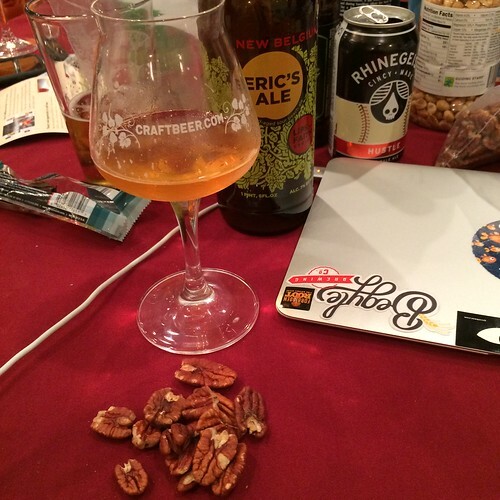 Those pecans would have gone really well with New Belgium’s Slow Ride and Snapshot that I was sampling a few tables over. Oh, Leslie, they would have been nice with that, but I think the really cutting edge of the soured peach was what made it. I guess we should both try and report back!